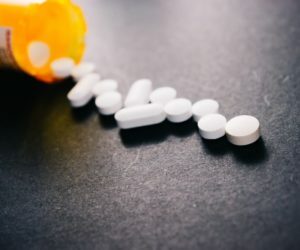 The overdose of opioid pain killers such as oxycodone claimed 52,404 people in American in 2015, according to an American Society of Addiction Medicine report. The euphoric effects of oxycodone leads to its abuse, and rehabs such as White Sands Treatment Centers are among the few places where addicts can get the help they need to overcome the addiction. Finding help for oxycodone abuse before an addiction forms can help to reduce the health effects and recovery time. Oxycodone is a type of prescription pain medication that is given to people for moderate to severe pain, such as after surgery. It is designed to be taken for a short period of time because of the addictive properties that opioid pain medication has. It works by blocking pain receptors in the brain, stopping pain and giving a feeling of euphoria. With continued misuse, opioid abuse can cause a person’s brain chemistry to become imbalanced. Eventually, without the use of opioids, the normal release of serotonin and dopamine become hindered and even stops entirely in some cases. This causes the person to severely crave more of the drug in order to feel normal. An overdose can result in a coma and even death. Medical attention should immediately be sought if there is a possibility of an overdose. One of the biggest risks of long-term abuse of oxycodone is an addiction, which can be very difficult to deal with as it affects many areas of a person’s life and health. Some of the medical complications that are as a result of long-term effects of oxycodone addiction include liver and kidney failure. Brain function can also be impaired causing problems with adapting to new information. Furthermore, as the person’s tolerance continues to build, the risk of an overdose increases. As the tolerance develops and prescriptions become harder to find, many users turn to harder opioids such as heroin to find their relief from the withdrawal symptoms that accompany an addiction to oxycodone. Substance use disorder is a treatable mental illness. Oxycodone addiction is often treated at rehab centers. A person admitted to the White Sands Treatment Centers will undergo an evaluation, followed by a detoxification period. During the detox, medications are often given to lessen the effects of withdrawal, making them safer and easier to deal with. After a detox, various inpatient, residential and outpatient programs are available to further treat the substance use disorder. Understanding how to prevent relapse and learning new coping skills is an essential part of long-term recovery. Post-treatment programs such as sober living environments and the 12-step program can further help a person toward a long-term drug-free lifestyle. The disease of addiction is treatable through the help of professionals in rehab. Do not wait until you or a loved one hits rock bottom before finding help. Contact the White Sands Treatment Centers today for more information.